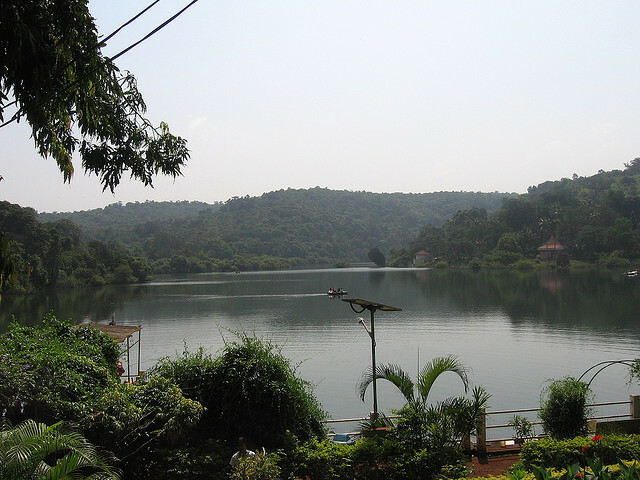 Mayem Lake is also called Maya lake and it is located in Mayem which is in Bicholim Taluka in North Goa. This is a well-known spot for boating in Goa and the lake is situated at a distance of 7 km from the temple of Saptakoteshwar. It also serves as the ideal picnic spot for the people of Goa as well as the tourists. There are many vendors on the roadside stalls who sell goan handicrafts and coconut water that can boost your body energy level. It is necessary that when you visit Goa, you have take a tour to Piligao which is the home of Chamundi temple. It is a famous temple where you can see the picture of goddess Chamunda. This image was bought from Goa Velha, a temple that was ruined by the attack of Malim Kafur, a Muslim emperor of 1312. This temple was built many years ago and due to several reasons it was needed to be rebuilt again and again. The tank in the temple is very huge and it consists of ancient carvings made on a stone platform in the middle. This place is truly beautiful with line of cashew trees and surrounding valleys and hills.